Navarra export catalogue - Plantas de Navarra, S.A.
Plantas de Navarra, S.A. (Planasa) was founded as a nursery in 1973. The purpose of Planasa at that time was to improve the quality of asparagus and strawberry plants. More than twenty years later, Planasa is the European leader in both asparagus and strawberry production. Planasa has also made great strides in the research, production and distribution of other products, such as garlic, endive and fruit trees. 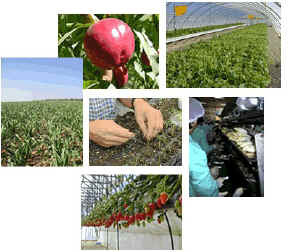 Planasa continues developing both existing and new varieties by means of a long- term research and development program. The DARBONNE Group and the industrial corporation of CAJA NAVARRA are the founders and shareholders of Planasa. Today Planasa has branches in Italy, Poland and California (USA), and is focused on an international market for their products. Planasa has developed a range of products that adapt readily to the needs and tastes of consumers from a variety of worldwide markets.